I want to take a moment and introduce myself. My name is Sudev J Sheth and I am a doctoral student in the Departments of South Asia Studies and History at the University of Pennsylvania in Philadelphia. 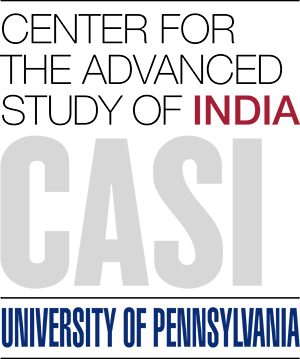 With the support of CASI and the Department of South Asia Studies, I will be going to India to pursue 10 weeks of pre-dissertation fieldwork at the MS University archives in Baroda and the National Archives in New Delhi. Currently, I am in London surveying the India Office Records at the British Library. My dissertation topic studies statecraft and governance in eighteenth and nineteenth-century western India with a focus on the political relationships and cultural practices of credit networks. In particular, I am investigating how a band of military mercenaries turned to principles of finance to build institutions and consolidate public authority. I look forward to sharing my experiences with you this summer as I explore the archives, conduct preliminary fieldwork, meet wonderful people and explore cityscapes in western India! I am a doctoral student in the Departments of South Asia Studies and History at the University of Pennsylvania in Philadelphia. With the support of CASI and the Department of South Asia Studies, I am in India pursuing 10 weeks of pre-dissertation fieldwork at the MS University archives in Baroda and the National Archives in New Delhi. En route to India, I stopped over at the British Library in London to survey the India Office Records. My dissertation topic studies statecraft and governance in eighteenth and nineteenth-century western India with a focus on the political relationships and cultural practices of credit networks. In particular, I am investigating how a band of military mercenaries turned to principles of finance to build institutions and consolidate public authority.